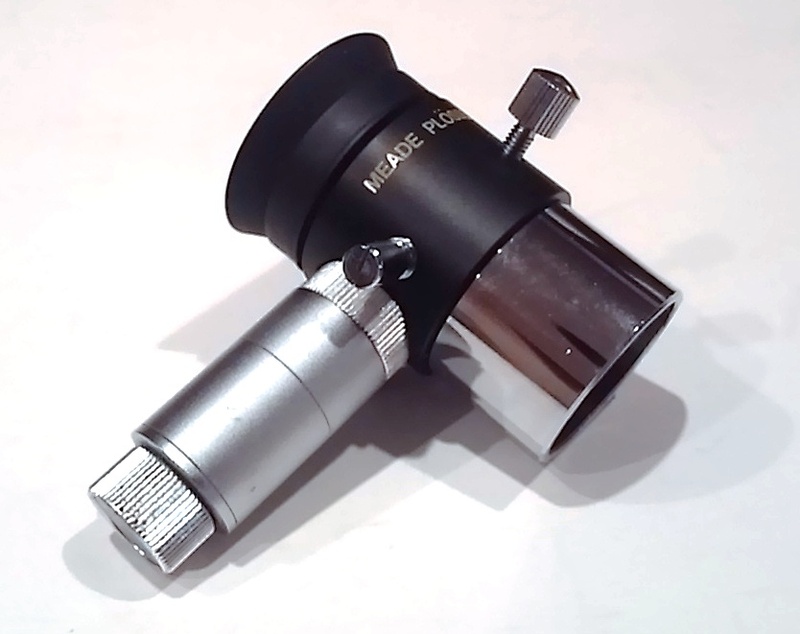 Meade 9mm wireless Illuminated reticle Plossl guiding eyepiece Sold! Includes batteries, both caps and all adjusting screws. The intensity of the LED can be dialed in from barely visible to bright. Standard 1.25mm dimension. 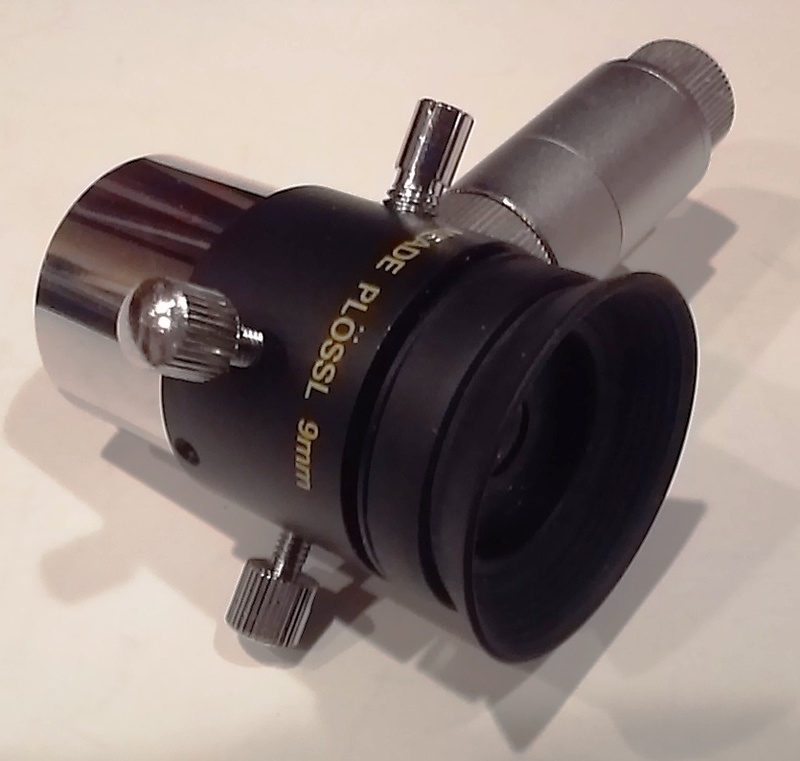 This special purpose eyepiece includes a reticle with phosphorescent-etched crossline patterns, internally illuminated so the lines are clearly visible against dark skies. 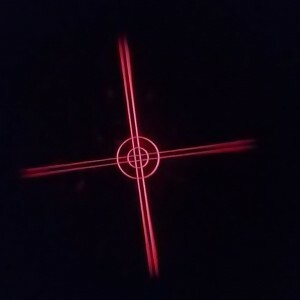 Amongst the most advanced commercially available illuminated reticle eyepieces, this Series 4000 Plossl 9mm model includes micrometric x-y positioning controls which greatly facilitate locking onto the guide star. 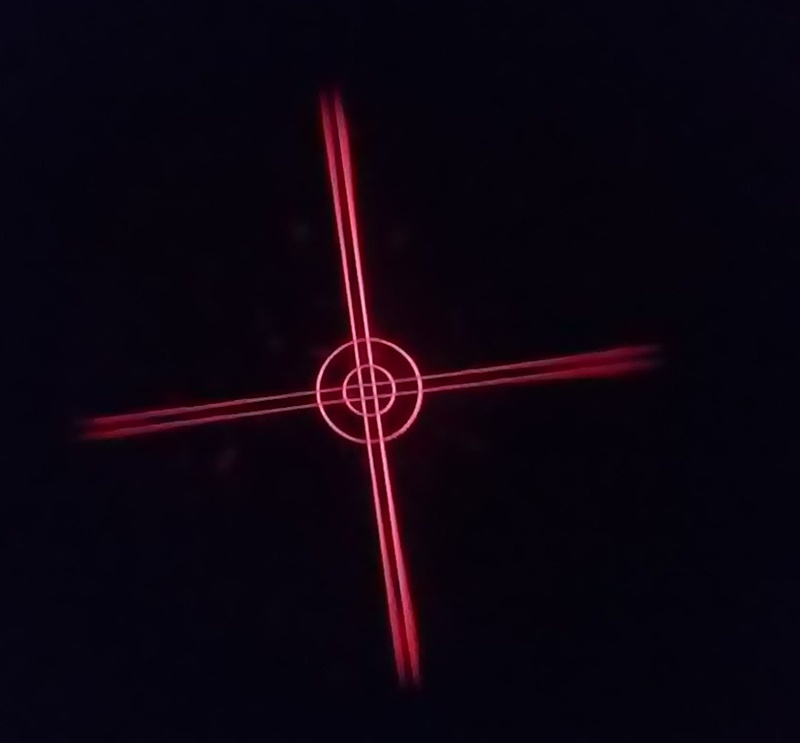 Turn the finely-threaded controls and place the reticle's crossline pattern precisely at the desired position in the field. The sharp, high-power imaging of the 4-element multicoated Plossl optical system is complemented by a rubber eyecup that shuts out distracting stray light from the observer's eye. and a finely threaded helicoid-type dioptric adjustment. Features: 1) Soft peel-down rubber eyecup, 2) Dual micro-adjustment control within eyepiece moves crosshairs/reticle field stop up/down & right/left. PAYPAL only and shipping will be $7 to any of the 50 States, via USPS priority mail. The average price of the last 6 sales of this piece was $46. I am listing this for $42.50.